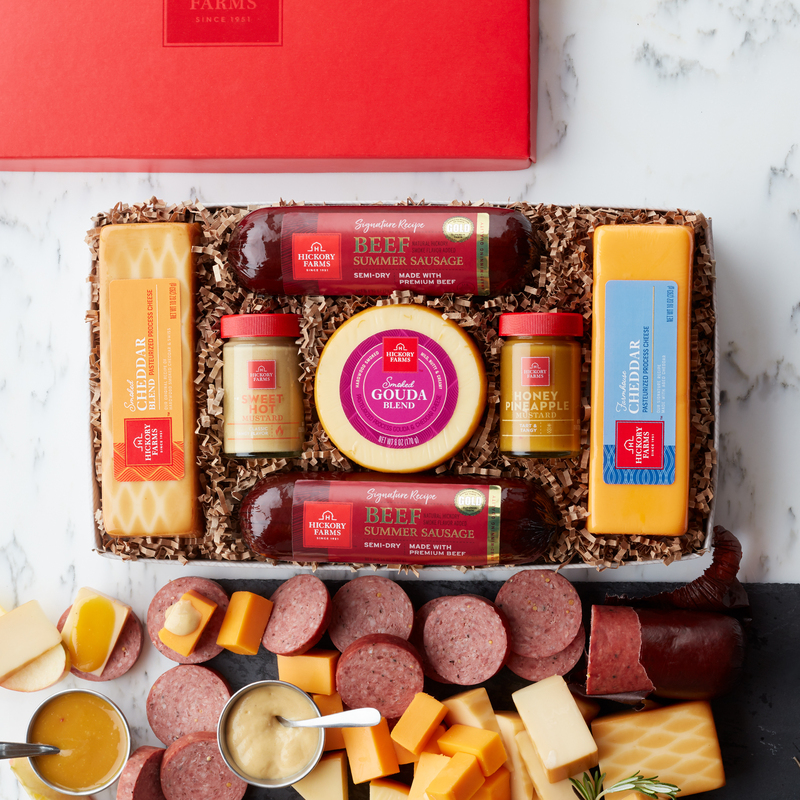 The Summer Sausage and Cheese Gift Box is one of our best-selling, most-loved gourmet gifts. 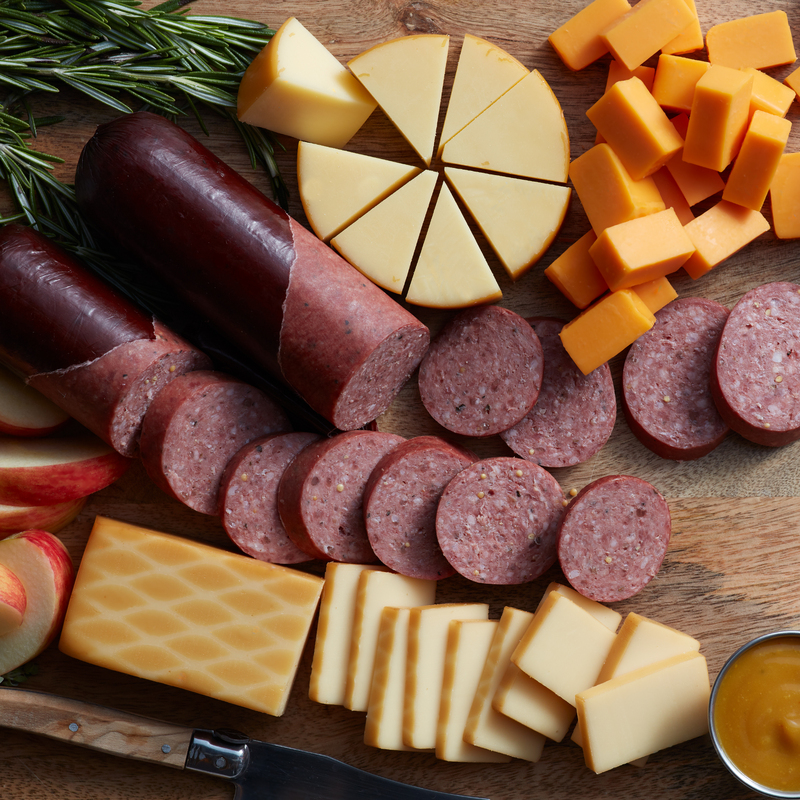 Perfect all year round, it combines two of our Signature Beef Summer Sausages with a selection of Farmhouse Cheddar, Smoked Cheddar Blend, and our Smoked Gouda Blend cheeses. Along with Honey Pineapple and Sweet Hot Mustards, these tasty bites are ready to dip and delight. 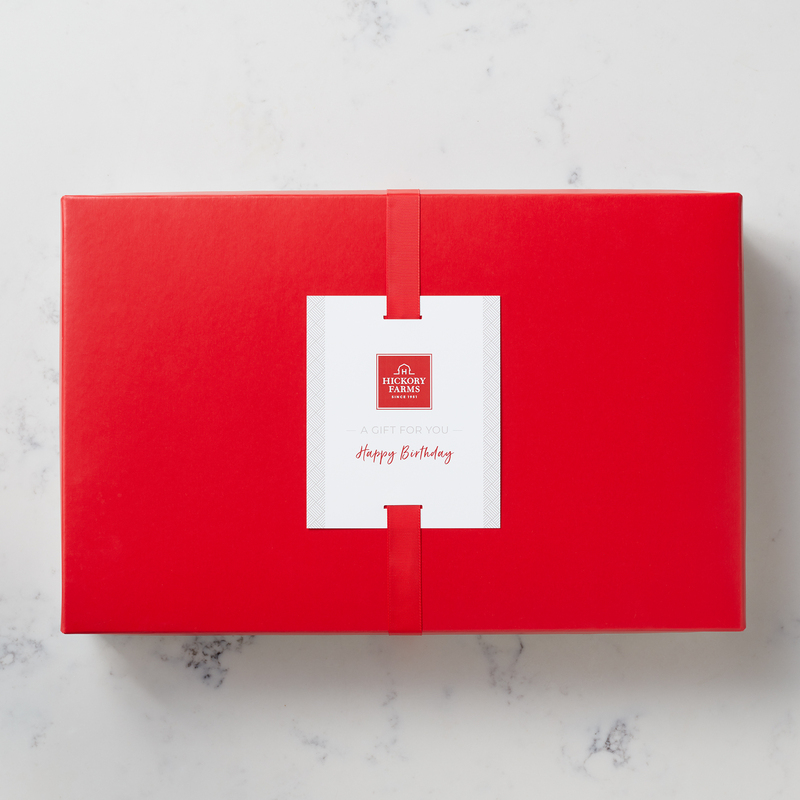 It's the perfect meat and cheese gift delivered right to their door so they can enjoy right away!